The switch words SLOW CARE (遲暗記) can be energized when a student is studying or writing the examination. 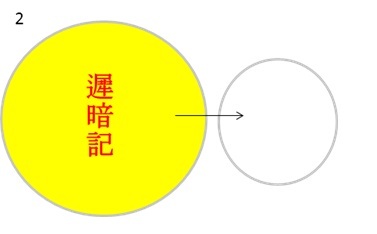 Write the name of the student in the blank circle. These Switch Words make him to remember what he needs to. Posted on June 6, 2013, in Child, Power Life Symbols, Studies and tagged 2, be, blank, CARE, circle, during, energized, Exam, Examination, make, name, needs, Recall, remember, SLOW, student, studying, switch words, to, what, Write, writing. Bookmark the permalink. 10 Comments. Can you let me know which symbol can be used for getting an admission into school i wish for my daughter. I am trying to get my daughter into this school for past two years in vain. Its a matter of luck. This year again am going to try ,kindly guide me further so that this year i can put her in this school. Lots of our other decisions base on she getting admission in this school. Thanks for your guidance as always. you suggest the symbol for getting continues huge money flow. If there is continuous huge flow of money, what will you do? God knows when to give when to take. naran sir,which switch words will be chanted to get rid from anxiety,impatience and restlessness instantly.plz.suggest. b.dash. Hello Naran Sir! my little sister is studying M.Tech final year. I have two concerns here. please please please please help me…. 1) her final year project is not being approved by her HOD. also during her project my mother met wth an accident. so she she cudnt concentrate well on the project. later on her HOD is not approving it. now after all the hardwork she says she doesnt want to complete it and has lost interest. she is a very bright student. always scoring above 90%. now she has a backlog and a pending project. 2) my parents want her to get married. my marriage is going very well (i posted abt it in othr blog) and tht is playing on everyone’s mind. so thy are worrid if thy can find a good match for her. so kindly suggest what i an do for my sister so she can complete her M.Tech and also find a suitable alliance. she is currently working as a lecturer in her Engg. college. please do help. I thank u in advance Naran Sir. I felt your site interesting but I didn’t get it properly.can u help me out.my son is in grade 10.want best results in his exams.please help.